Each and every time you go hunting it is special. Whether you have been hunting for 30 years or have just started with the sport, you have or will accumulate a lot of special outdoor memories from each day in the field. For those that have been sportsmen and women since early youth hunting days, we remember our first positive hunting experience and nothing is more special than being there for that first successful youth hunting experience by our own children. Like many who love to be outdoors and hunt, our hope has always been to share our passion for the outdoors with our children. Hunting is more than a sport, it is a lifestyle that passes along values like tradition, respect and a desire to better ourselves. As parents, we want our children to grow up with an interest in the outdoors, and hunting particularly so that they can enjoy and understand how the family hunting tradition enriches our lives. There are, however, times when youth hunting may not develop as we would like. Kids will move to their own passions early on and as parents, we respect that. 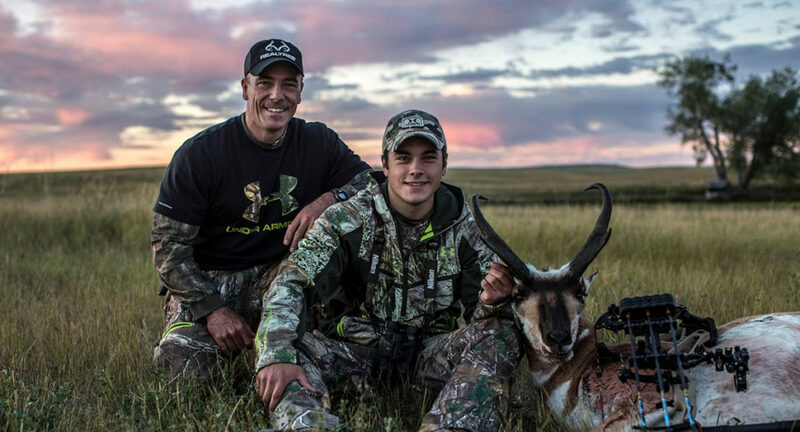 While there is no guarantee that each one of our kids will take part in our outdoor passion, there are certain things we can do as a parent or youth hunting mentor to help in developing that lifelong passion for hunting. Generally, kids take an interest in just about anything their parents are doing. At a young age, children are fascinated by what you do and curious about being like you. It is a good thing and one characteristic that helps in getting kids involved in hunting. If your kids seem to take an interest in hunting, here are three youth hunting tips to help foster that interest. Curiosity alone will have your kids asking questions about where you are going or what type of animal that is if you should be so lucky to harvest one. Eventually, that curiosity will lead to the time when they ask if they can go with you hunting. Getting asked this question as a parent is both amazingly satisfying and also challenging. It can be tough because many of us take hunting seriously, and rightfully so. But getting kids involved in hunting at a young age requires you to adapt and change the way you hunt. Having your kids along means making shorter trips, hunting different and often unproductive areas and lowers your expectations about the chances of harvesting an animal. These are the sacrifices you need to make to get your kids hunting early on in life. Starting them early is different than pushing them into the sport. 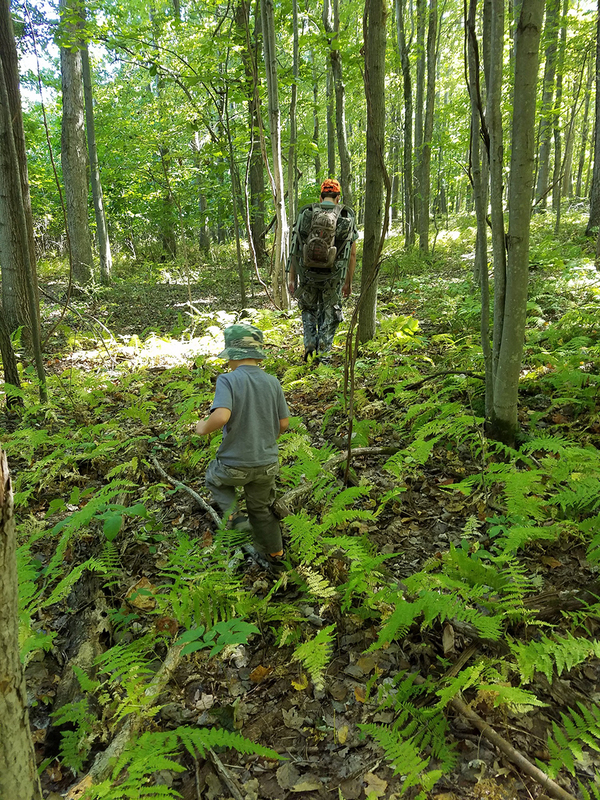 Children can quickly lose interest in the outdoors simply from being pushed too hard because a parent or youth hunting mentor wants so badly for them to take part in the outdoor experience. We, as hunters, all want our kids hunting with us. However, forcing them into hunting either too soon or because they have yet to build an interest will be the quickest way to lose a future hunter. If they do not show as much interest as you would like, then give them their space. Often youth hunting takes times. Always keep the invitation open, but never force them to be an unwilling participant. Regardless of the child’s age, the first few days afield are the most critical in determining whether or not he/she maintains an interest in hunting. These first youth hunting experiences, like any first impression, are where the child is going to form their opinion about hunting. They are either going to decide that hunting is fun and enjoyable or that it may not be something for them. Your job is to not push them and make the first impression a fun youth hunting experience. 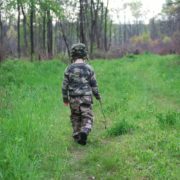 The first step to ensuring that a child’s first hunt is not their last is to keep the initial outings brief. Kids have short attention spans, for no fault other than being a kid. That being said, the last thing they want to do is go sit in a blind or a Hawk ladder tree stand for hours on end no matter how into hunting they may already be. As soon as the questions start coming, like “when are we leaving?” or “how much longer are we hunting?”, their attention has veered away from hunting. Take these cues as it is time to make a change or wrap it up completely for the day. Either change spots, take a walk or end the youth hunting day completely. Secondly, during that time you are focused on hunting you want to help young hunters be successful. 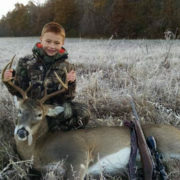 All the youth hunting tips and best practices only go so far if eventually a child does not get to experience success. Success can take many forms but for kids, it usually relates to harvesting an animal. Kids find it difficult to comprehend sitting for hours not seeing or shooting any game. Start them off with hunting squirrels, doves or other small game where there are opportunities to see and harvest animals. The other alternative is to find hunting areas that are plentiful with game. Many landowners are willing to open up their farms and forests to youth hunting if you ask. Many times these private oases are loaded with does and absent from other hunters, especially during youth hunting seasons. Although there is a substantial amount of time and effort leading up to a first successful youth hunt, the first taste of success almost always instantly hooks a kid to hunting for life. Excitement and a sense of accomplishment flow from a kid’s eyes when they harvest their first game animal. The excitement and sense of pride are not only within the child but also with you, knowing you played a big part in their success, which is rewarding no matter what activity it is your kids are doing. Along with making a good first impression to young hunters, your kids should be as comfortable as possible while outdoors. Equip your kids with the right youth hunting clothing and gear. If you are fully invested in hunting with kids, then invest in them with the proper equipment. Youth hunting clothing today has many of the same qualities adult clothing has to ensure your kids stay warm and dry. This is sometimes an expensive proposition as kids grow out of clothes just about each year, but the downside to not having good hunting clothing and proper boots could be a lost future hunter. Aside from clothing and gear, you also want to make sure the weapon they are using is fitted correctly for them. The most important reason is for safety. An oversized firearm can lead to not being able to shoulder the gun correctly and recoil that is unmanageable. You want to find youth versions of a firearm and introduce youth hunters early to shooting to make sure the weapon is safe to use and they know how to be safe shooting it. For a bow, it means finding one with the proper draw length and weight so it is comfortable to pull back and shoot. 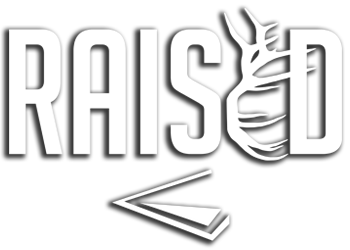 Bear Archery has several youth bow packages that are specifically designed with kids in mind. 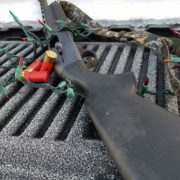 Without considering the right equipment, including a firearm or bow, your kids may become frustrated and disappointed. Equip them properly, no different than you would yourself, for successful youth hunting. Hunting with kids is both rewarding and challenging. It is much different than hunting with a buddy or by yourself. Once you have peaked an interest in hunting, avoid these six mistakes when taking your kids hunting. 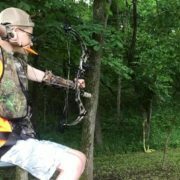 Expectations for youth hunting are and should be, much different than those you have heading to the woods by yourself. Kids will be restless and inquisitive, both of which should be expected while hunting. Encourage questions about the outdoors and hunting. Hunting with younger kids is more about the experience and teaching them the sport than harvesting an animal. Avoid getting frustrated when game animals get spooked away or if you are bombarded with questions during a youth hunting outing. If something is not fun, a child will be reluctant to do the activity again. The same holds true with hunting. Instead of trying to sit motionless for hours on end, identify birds and trees or start a mini scavenger hunt to keep it fun. Let them use your Nikon binoculars to spot game or blow a few grunts from your Primos grunt tube. In addition, talk up hunting every chance you get. Half of the adventure is the anticipation and the planning before the hunt. Many states have started youth hunting seasons as a way to give youngsters an opportunity outside of the normal adult hunting seasons. These few days a year can be some of the best for youth hunting as hunting pressure is limited and some even provide an early chance at deer or turkeys before the main season opens. 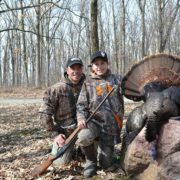 There are also many mentored youth hunting programs available in different states to provide opportunities for kids to learn from a licensed adult hunter. License fees are reduced and special privileges are granted to youth hunters as a way to expand their opportunities. Take advantage of all you can. Safety should always be priority one while hunting, especially when hunting with kids. Avoid even the chance of a safety mistake by thinking ahead on what may be encountered during the hunt. For instance, focus on firearm safety if going out for deer or discuss how to walk safely through the woods if you plan on traversing rough terrain. Accidents do and will happen, but preparing beforehand as much as possible from a safety standpoint lessens the chances they will. Days in the woods are limited by work and other daily life responsibilities. Avoid pushing to hunt on a day when the weather is bad. Nothing can ruin a youth hunting experience more than being uncomfortable while in the field. If bad weather cannot be avoided, then make sure you have the proper youth hunting clothing and gear needed to make the experience as comfortable and safe as possible. Part of hunting is being outdoors. That means enjoying and exploring the natural environment. A common mistake, particularly with younger hunters, is to overly control every action of the hunt. Relinquishing control on things like letting your kids prepare their own youth hunting gear or having them use the Garmin to find the hunting spot are all ways to get them more involved in the hunt. It is part of the learning process, and by doing everything for them they will never be able to learn from their mistakes. To conclude, there are many opportunities and challenges when it comes to youth hunting. Getting kids involved in hunting is a rewarding experience for a parent or hunting mentor. Your focus should be to get kids involved early without pushing them, make a good first impression when hunting and to give them the proper tools, clothing and gear they need to be successful. In order to continue the enthusiasm for hunting beyond those first few hunts, avoid certain mistakes like having unrealistic expectations, not having fun, missing youth hunting opportunities, forgetting about safety, hunting in extreme weather and controlling every aspect of the hunt. Finally, hunting with kids comes down to the experience and instilling in them the values the sport provides with the hope they will continue the tradition on into their adult lives. Reflect on each youth hunting outing not only from your perspective but from your child’s viewpoint. Let them shape the experience and tell the tale from their eyes. Getting kids involved and trying to avoid youth hunting mistakes along the way go far in growing the next generation of outdoorsmen and women.